Just Julie B's Stampin' Space: Sew Cute Project! 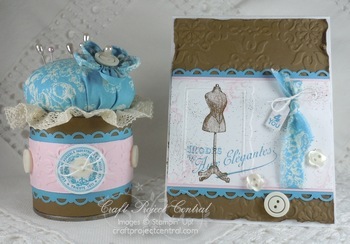 This pretty project comes to you designed by Monika! To get more information about it, you can head over Craft Project Central and check it out.